The Pro Box 'Black Collection' Leather Wall Pad is a top professional leather uppercut wall pad constructed from quality cow hide leather with dense multi-layer inner foam padding for impact protection. Designed for improving hooks, jabs and uppercut techniques, this wall pad has the additional benefit of high visibility numbered target areas. Pad Dimensions - 60cm x 35cm x 49cm. Bracket Dimensions - 61cm x 43cm. 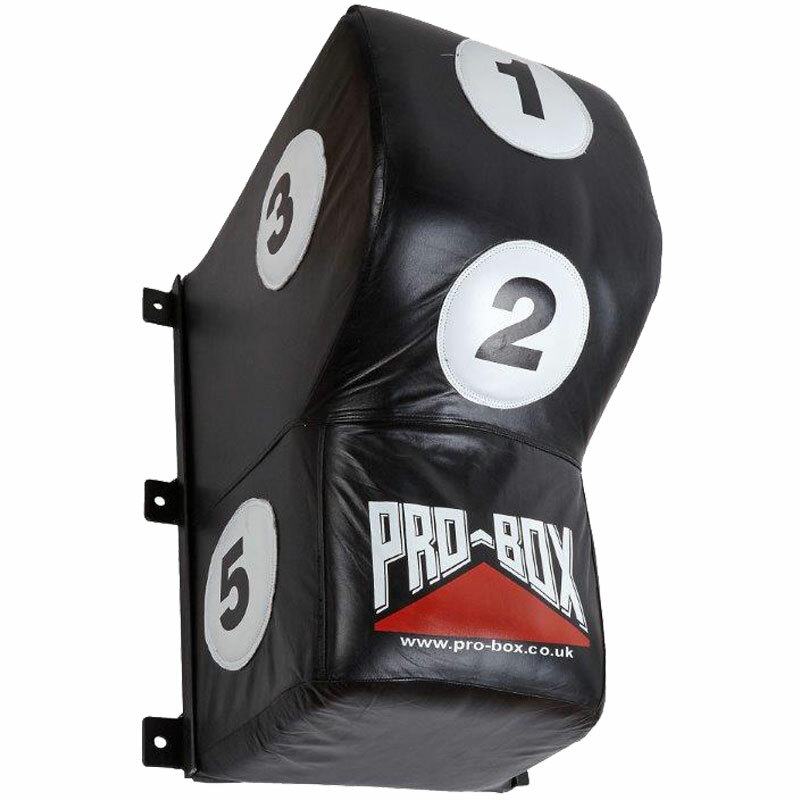 A great additions to the gym to add variety to the punch bags available. Improve your hooks, jabs and uppercut technique. High visibility numbered target areas.